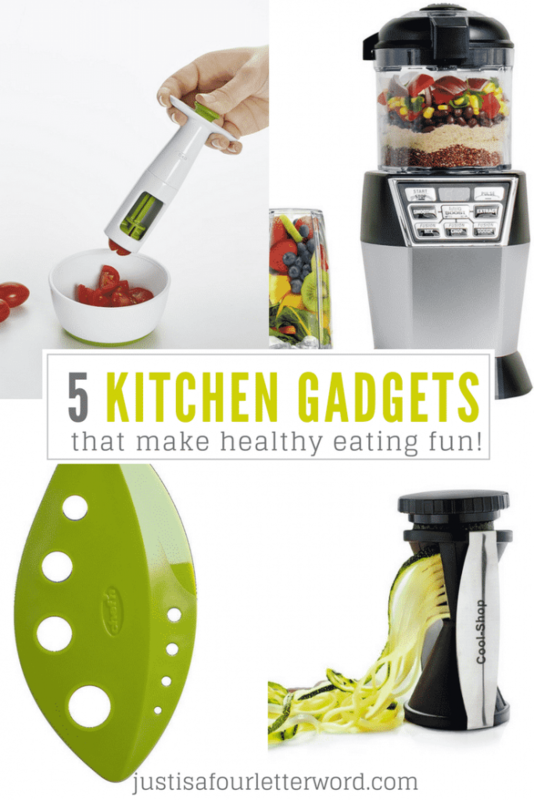 Home Recipes & FoodBreakfast	5 kitchen gadgets that make healthy eating fun! On my quest for healthier living, I’ve spent a lot more time in the kitchen experimenting with healthy recipes and trying new things. I love cooking in general but over the past few years, I’ve found a few gadgets for the kitchen that are truly game changers for me! I thought I would share them with you in case you want to make your own healthy eating journey a little easier and more fun. And if you find one you like and grab it with one of my links, I’ll get a few cents to help keep this blog up and running. Win win! So what makes my top 5 kitchen essentials list? It’s not a typical list of knives or mixing bowls. I think it’s a given that we all need those things. But when making my list of must-have kitchen gadgets, I wanted to focus on three things; usefulness, novelty, and the happiness factor. Healthy eating isn’t always the fun choice. But I have to say that using one of these gadgets always brings a smile to my face! On my eating plan, I don’t measure in calories. I measure in ounces. 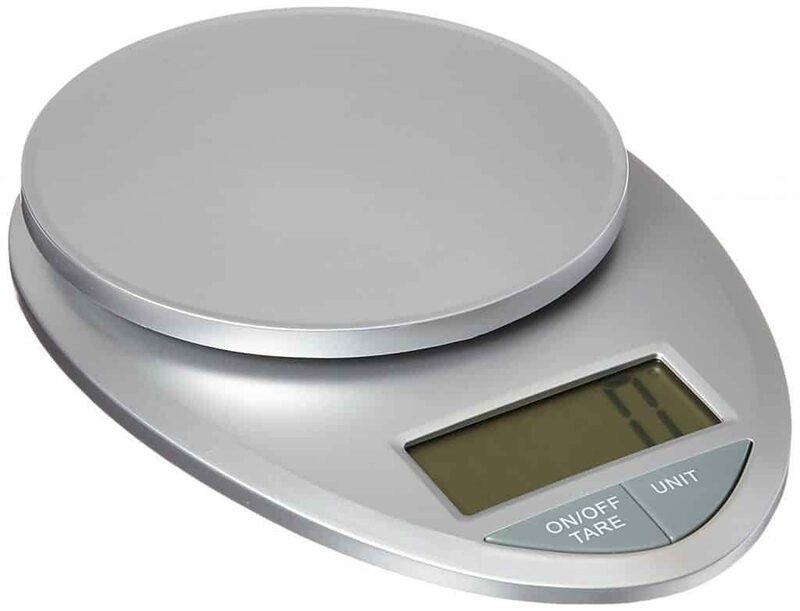 This little digital kitchen scale is used every time I prep my meals. I’m not even kidding you when I say this tomato/grape slicer was a game changer for me. I actually smile every time I use it! For real. Who has time to cut cherry tomatoes!? Look! See how happy I am? ***Use it to chop olives and tomatoes for these amazing nachos! Maybe you want kale chips or a smoothie or you want fresh cilantro for shrimp tacos. 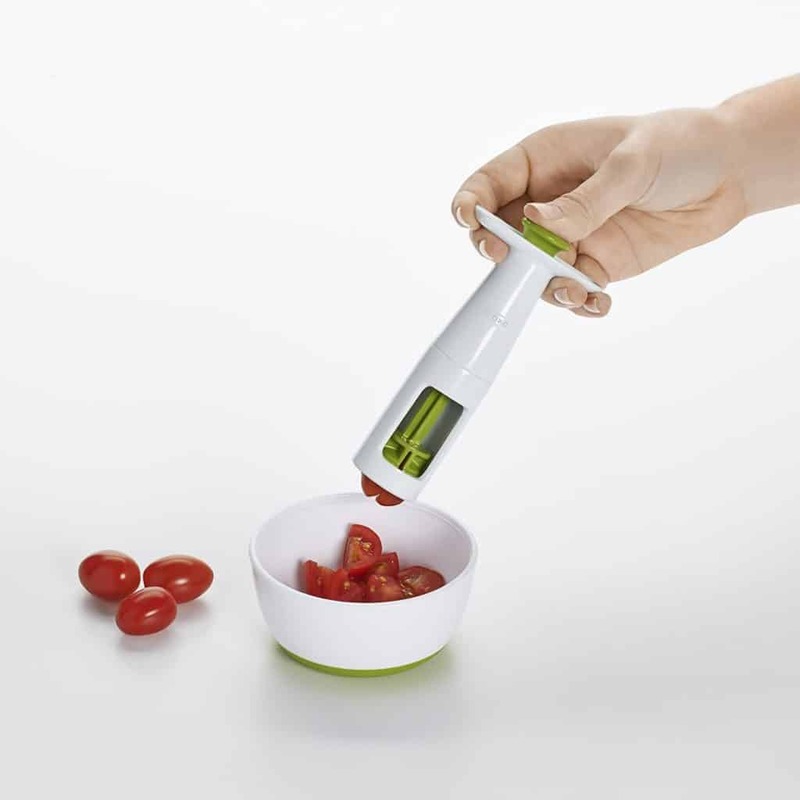 Whatever the reason, this little kale and herb stripping tool is a must have for your healthy kitchen. And it’s cute too! 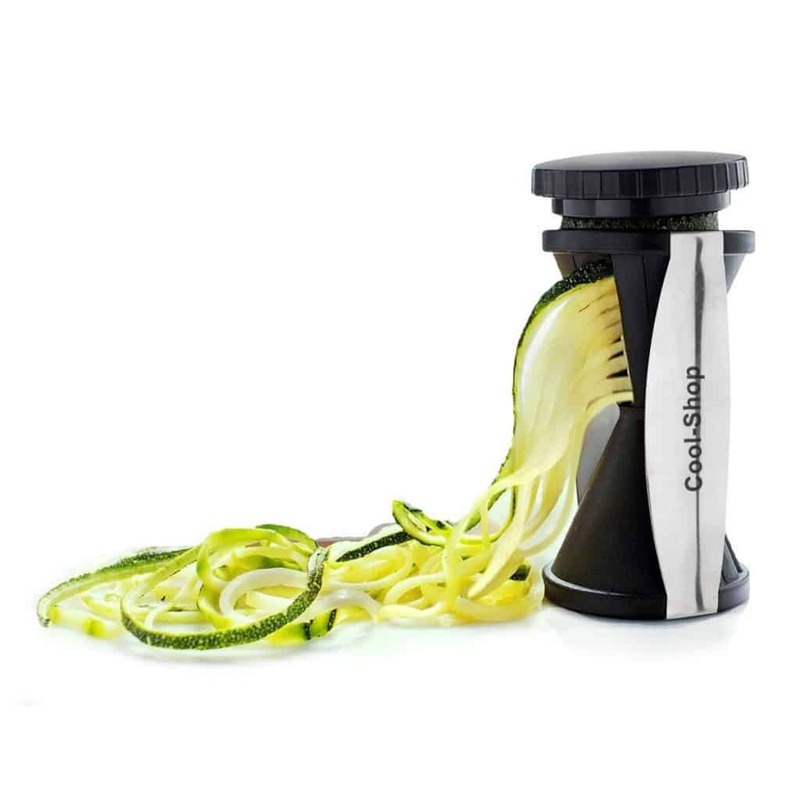 I definitely jumped on the zoodles train (zucchini noodles if you weren’t sure) and I love this little handheld veggie spiralizer. I don’t want lots of bulky machines and this little thing definitely gets the job done. This recipe looks amazing and I can’t wait to try it! I reviewed the Ninja Nutri Bowl DUO last year and I still love it. 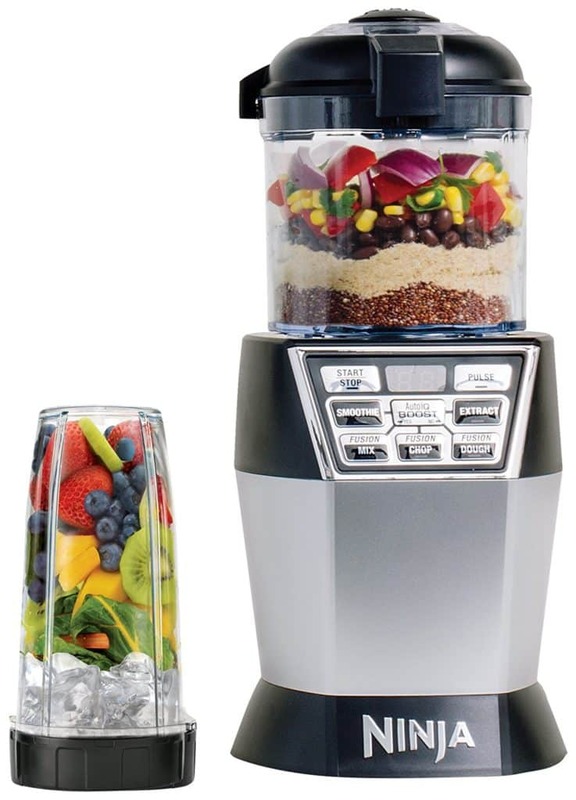 It’s great for chopping a lot of veggies at once, making purees for soup or a tasty smoothie. 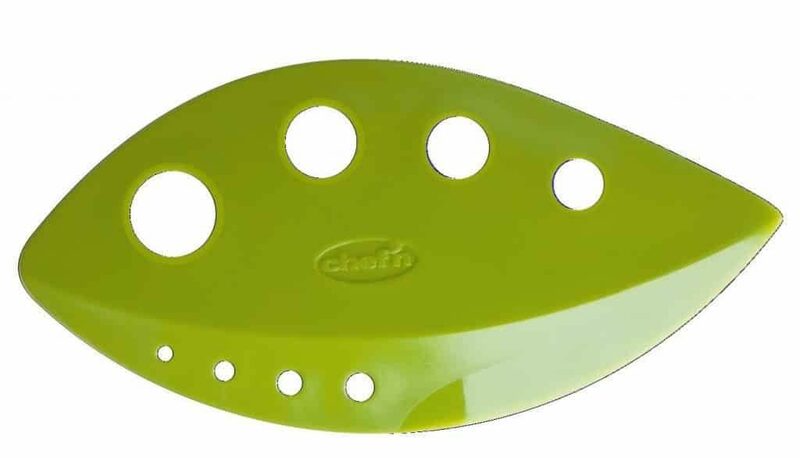 I even use it to chop spinach super fine to put in meatballs! So those are my current top 5 kitchen gadgets. What is making your life easier in the kitchen these days? Let me know in the comments!